I have been going through some of my doll making patterns to see which ones need to be replaced and which ones are still usable. This can be a tedious process, not the most fun aspect of doll making, but necessary. As anyone who has a favorite pattern will tell you, they get pretty ragged after awhile. If you only have a few patterns, replacing them is not a problem, but a collection like mine requires a lot of copying. Doll making, though, is not my only pattern collection; as a preschool teacher I also have an extensive collection of patterns for school. I quickly realized that my arts and crafts, shapes, and letter patterns would last a lot longer if they were heavier, or coated in plastic. So I bought some clear contact paper and it worked perfectly! The roll that I buy has a grid printed on the paper side so it's easy to measure how much I need. I roll out as much as I need to cover each piece on one side, peal off the paper and lay the pattern pieces on the plastic. I then repeat the process to cover the second side, then cut the pieces out of the plastic. These patterns work perfectly for tracing paper shapes for school. For sewing, they may be a little too thick to pin through, but will work great if you use pattern weights. To pin through the pattern you may want to put the plastic only on one side. No pattern will last forever, but with this trick your patterns will be sturdier. It's also a good idea to store patterns so that they are only subjected to wear and tear, literally, when they are being used. Manilla folders work well for this, as do empty cereal boxes. Almost anything that keeps them flat and out of the way of little hands, pets and the like will help your patterns to last a little longer. Most of my patterns are kept in plastic sheet protectors, in a binder that I keep just for doll patterns. I have a section for doll body patterns, another section for doll clothes patterns and a section for ideas I want to try. The main benefit of using a binder is that if you use one page protector for each pattern, with all its pieces together, it's very easy to thumb through the pages to find the exact pattern you are looking for. 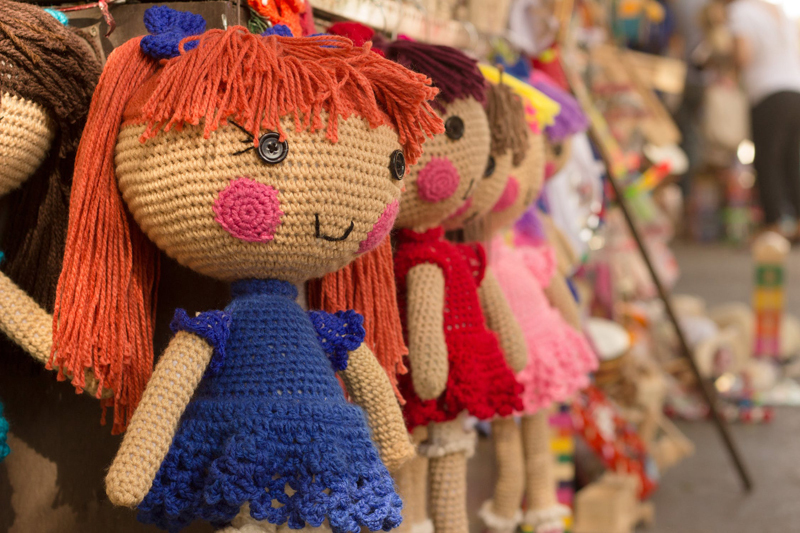 Give these ideas a try and I'm sure your doll making will be much more fun!